For years we’ve seen the real story of Christmas fade into the background … almost to the point of disappearing altogether. 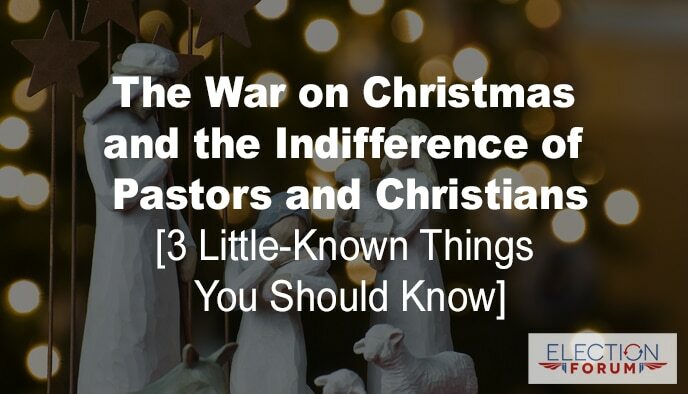 But the media, the schools, and many businesses have continued the trend of either neutrality, hostility, or outright war on the true meaningof Christmas. And very rarely do we hear it from businesses … or see it painted on store front windows – like we always did in the past. There’s a paranoia of fear permeating American society – a fear that if we say, “Merry Christmas,” someone who doesn’t celebrate Christmas– or who doesn’t believe in Christ – will be offended. It’s an unsubstantiated and unwarranted fear. People accept hearing “Merry Christmas” whether they’re atheists, Jews, or believe in another religion. 2. The removal of the story of Christmas from public schools. In their effort to be “more sensitive” toward the “diverse population” of its student body, Robious Middle School in Virginia recently notified parents that their renamed “Winter” program would be stripped of Christmas songs containing the name of Jesus. According to one teacher, a few students “weren’t comfortable” singing songs about Jesus. How ironic! Do public school educators not realize that excluding Jesus while claiming they are promoting diversity is an oxymoron? If they want to teach diversity, some students will feel uncomfortable … at least some of the time. The school is not promoting diversity … it is promoting censorship. And this censorship masquerading as “diversity” isn’t just happening in one school district in Virginia. It’s happening all across the nation– including your neighborhood public school. 3. The removal of the Christmas story from the public square. Nativity scenes on civic center grounds – in front of public libraries – or in other public places used to be common. Now, they are veryrare. Another disheartening example – the Macy’s Thanksgiving Day parade. But in recent years it has turned into more of a gay pride celebration. This year it was all about the public highlighted display of two lesbians kissing on national television. Where are the pastors? 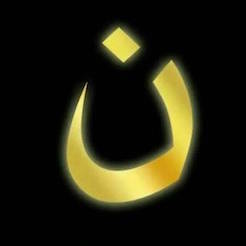 Where are the Christians? Where is the public out cry over the public desecration of a Christian holiday? Where is the bold public reminder that this holiday is about the birth of the Savior of mankind … and the reasons why His birth was so necessary … and so miraculous? Always in your Christmas cards … and whenever you’re at a store with people … say “Merry Christmas” – even in response to their saying “Happy Holidays” to you. Encourage your church and your pastors to vote in every election for candidates who will lead the way to protect our religious rights. Thank you for so clearly stating the truth. Amen! …and I ripped up my Macy’s card. What A load of horseshit. The Xmas story is an obvious myth. Why take it seriously. Xmas is merely a pagan celebration of mid winter which the Xian church appropriated for its own ends.